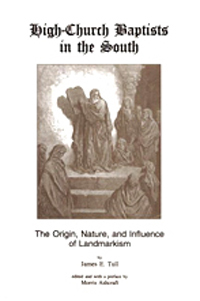 James E. Tull's study and critique of the history and teachings of Landmarkism has established itself as a classic treatment of this important movement. This present version of that study is the revised, condensed, and updated edition of Tull's 1960 original. Tull did not finish the revision before he died in 1989, but Morris Ashcraft has now completed that task according to Tull's directions and notes. Ashcraft has also added a helpful preface. With this new edition of Tull's invaluable work on Landmarkism, a new generation of historians, students, and all seeking to understand Baptists have at hand a most helpful teacher: Tull on Landmarkism.